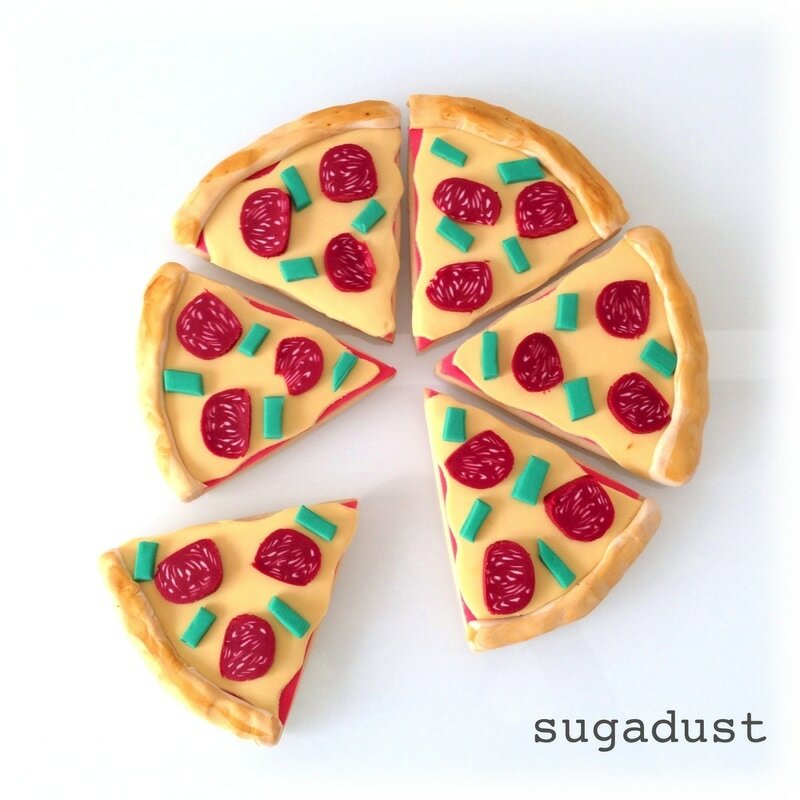 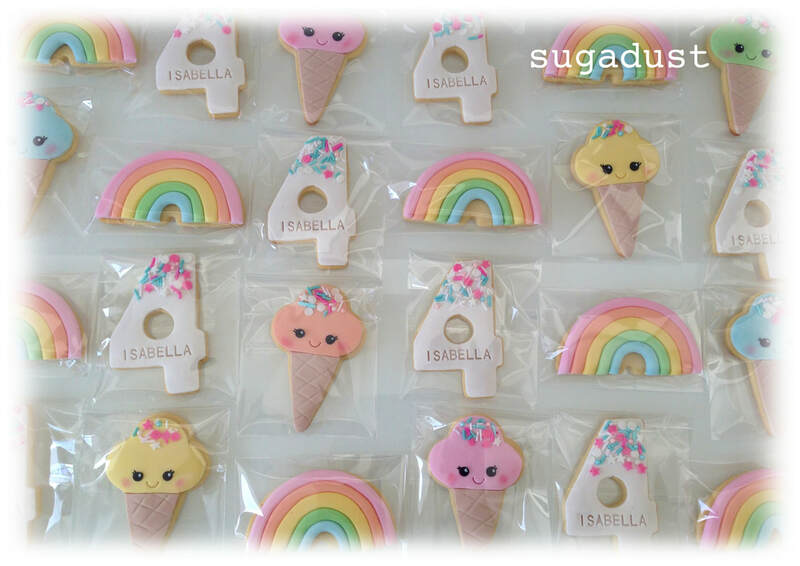 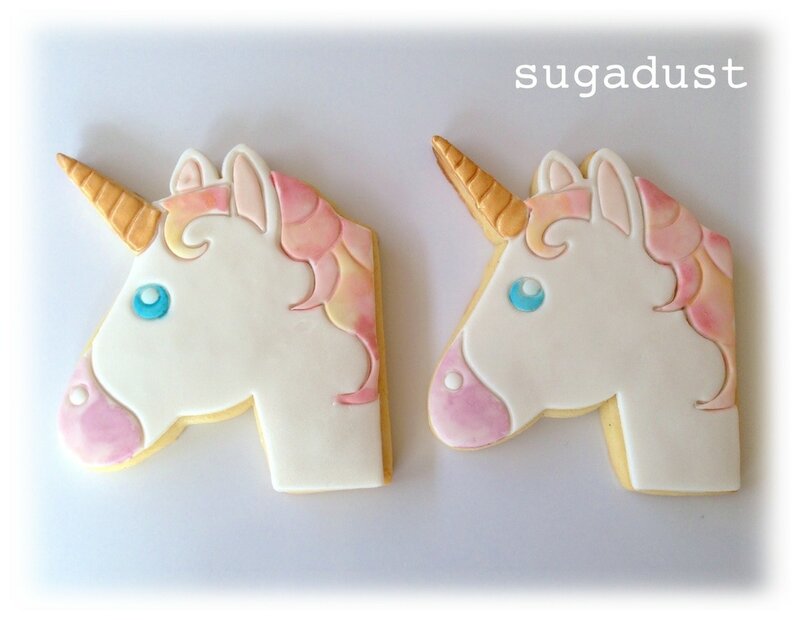 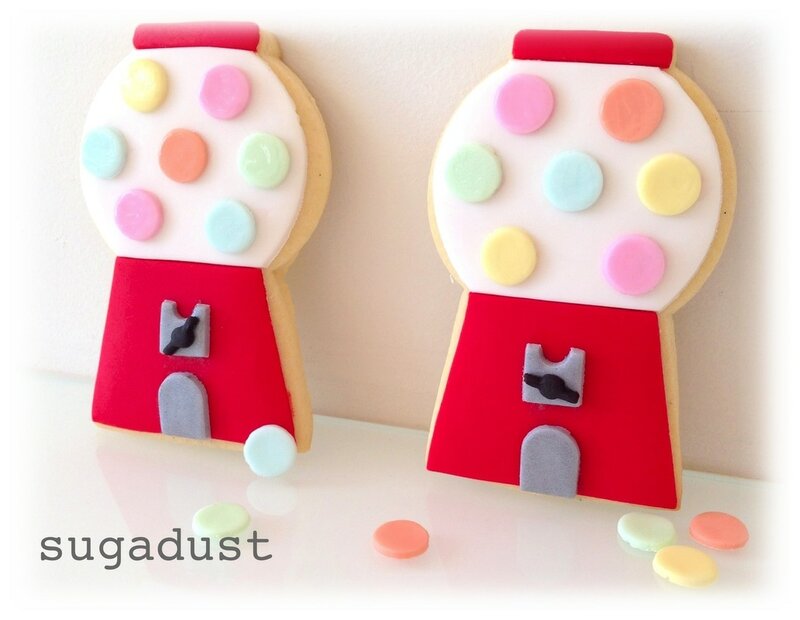 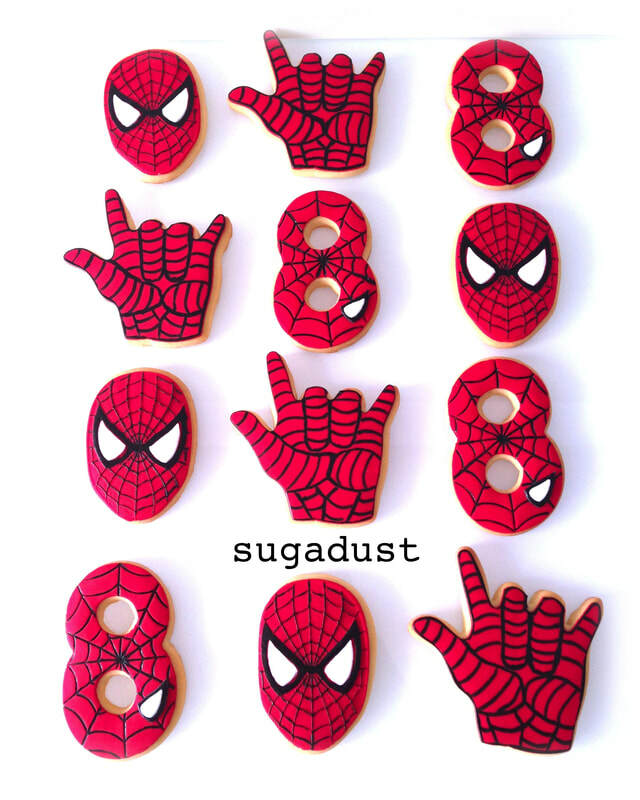 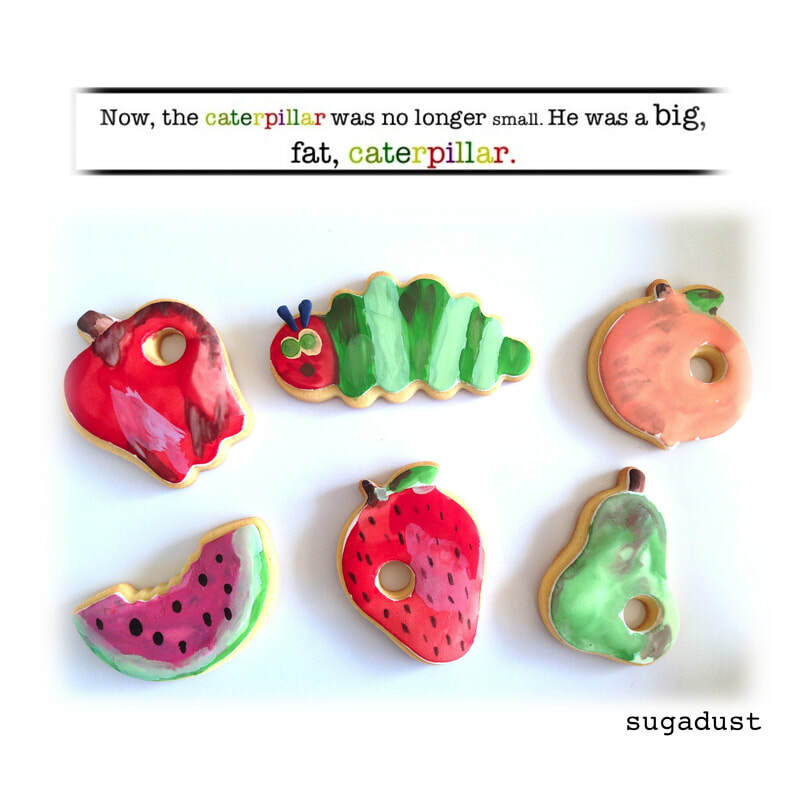 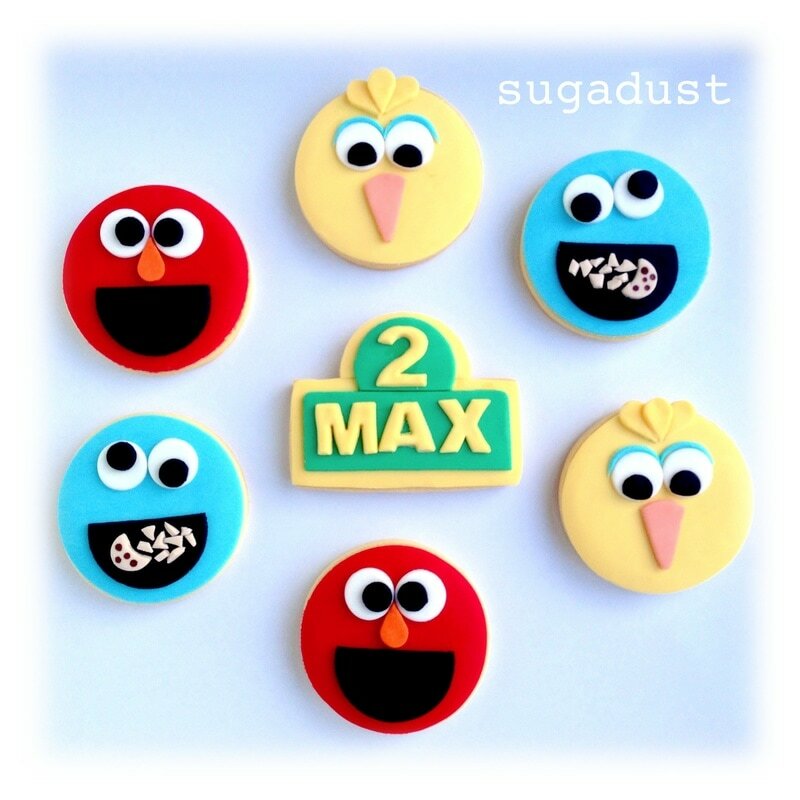 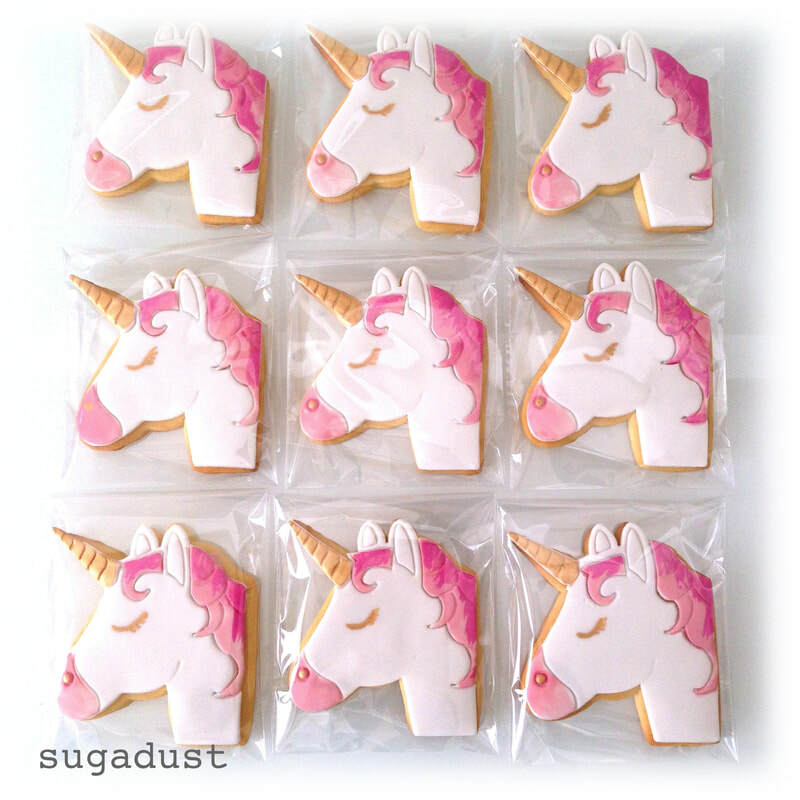 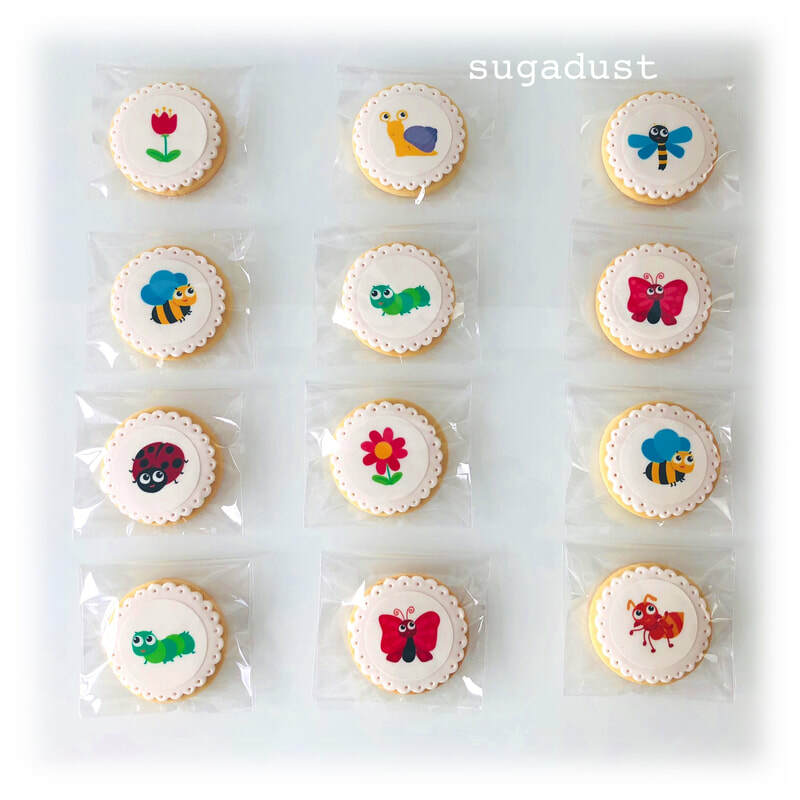 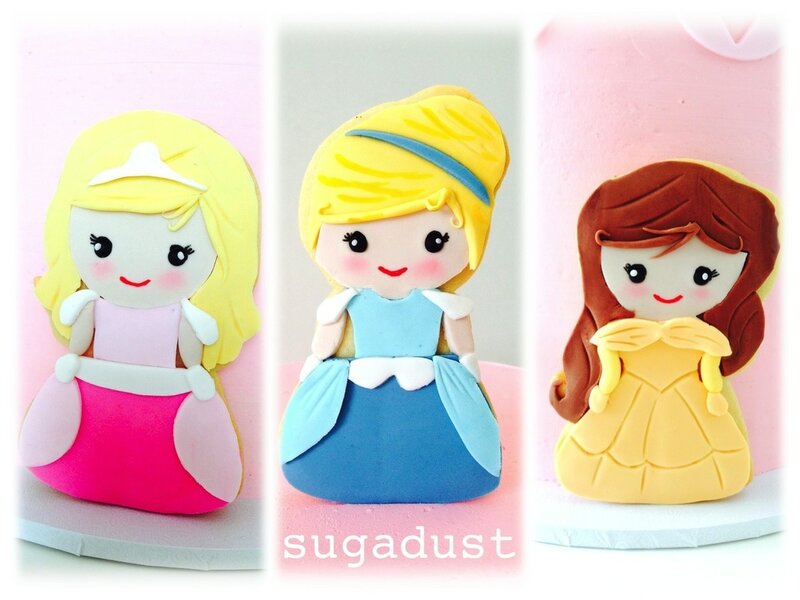 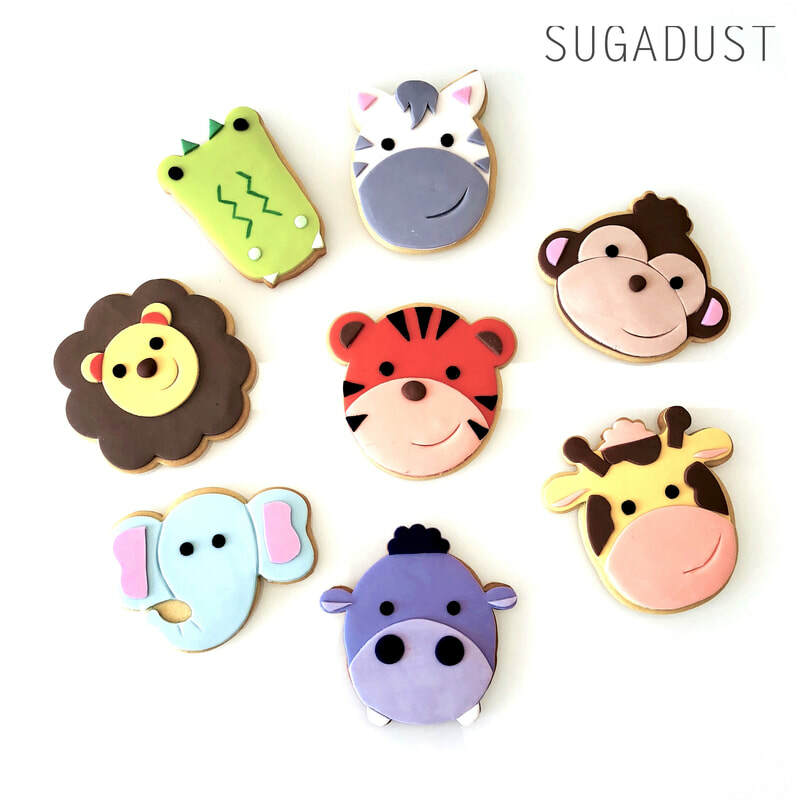 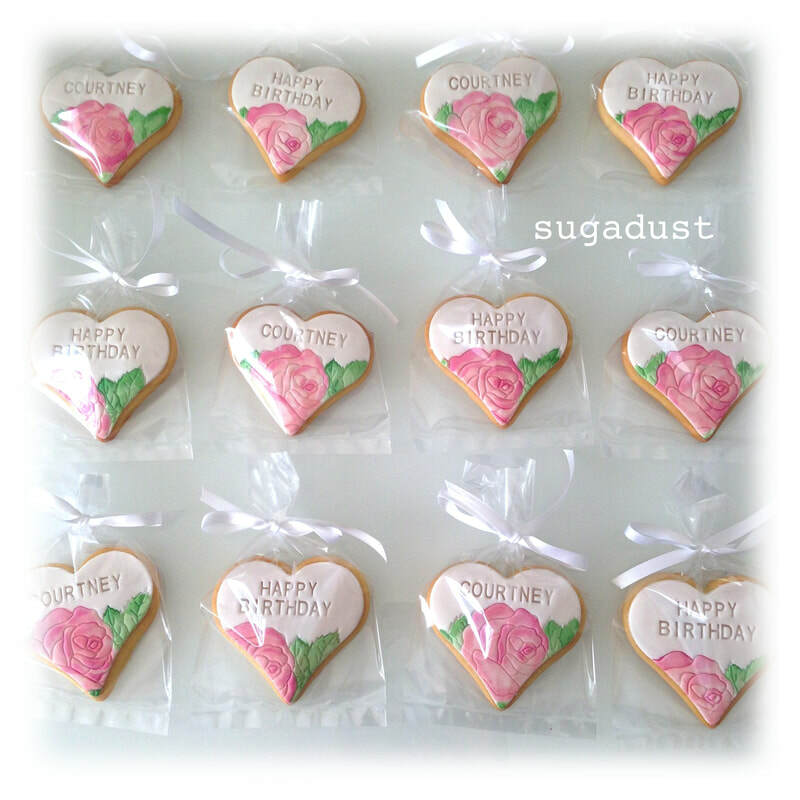 If you're after a delicious cookie for your special occasion, we'll bake and decorate them fresh for you. 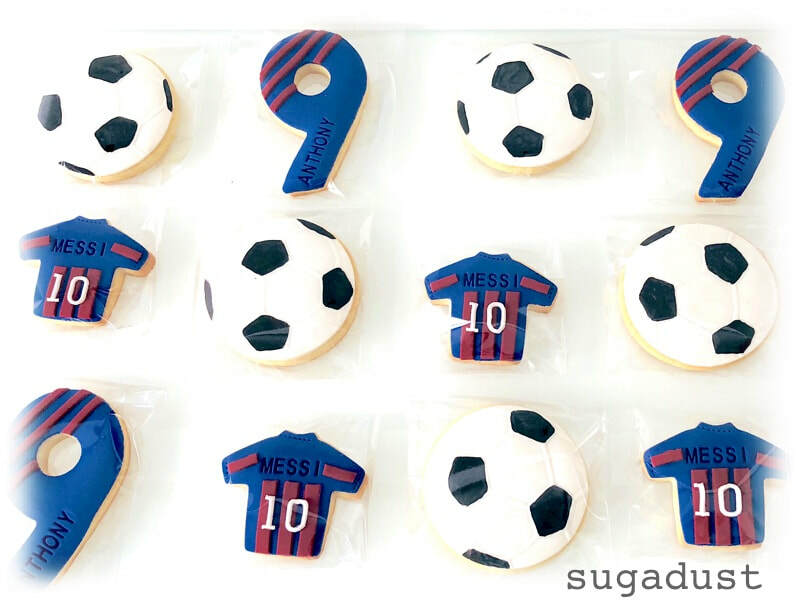 Let us know what design you're after and we'll make them for you. 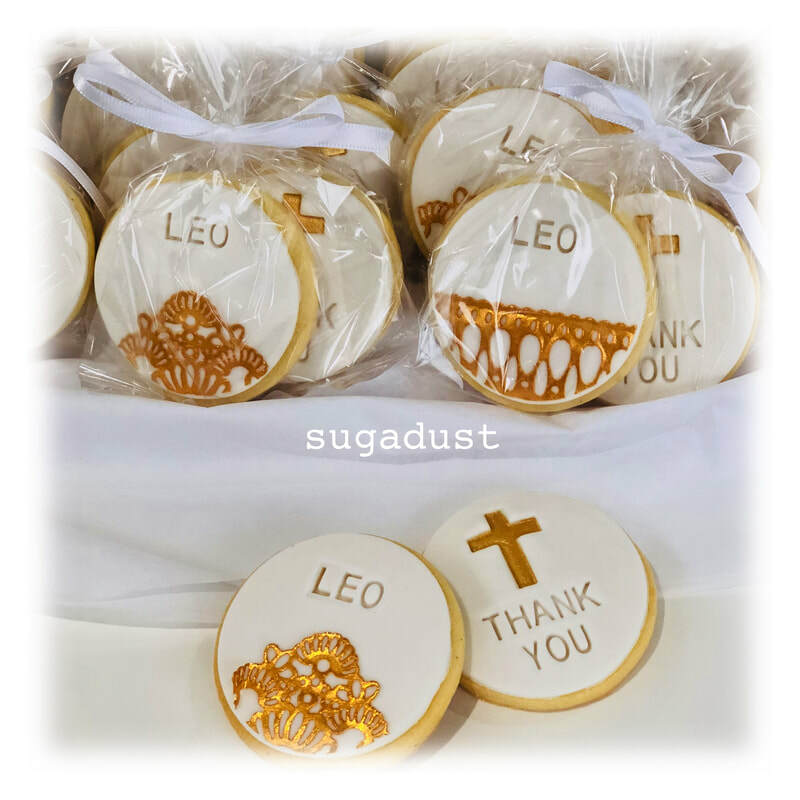 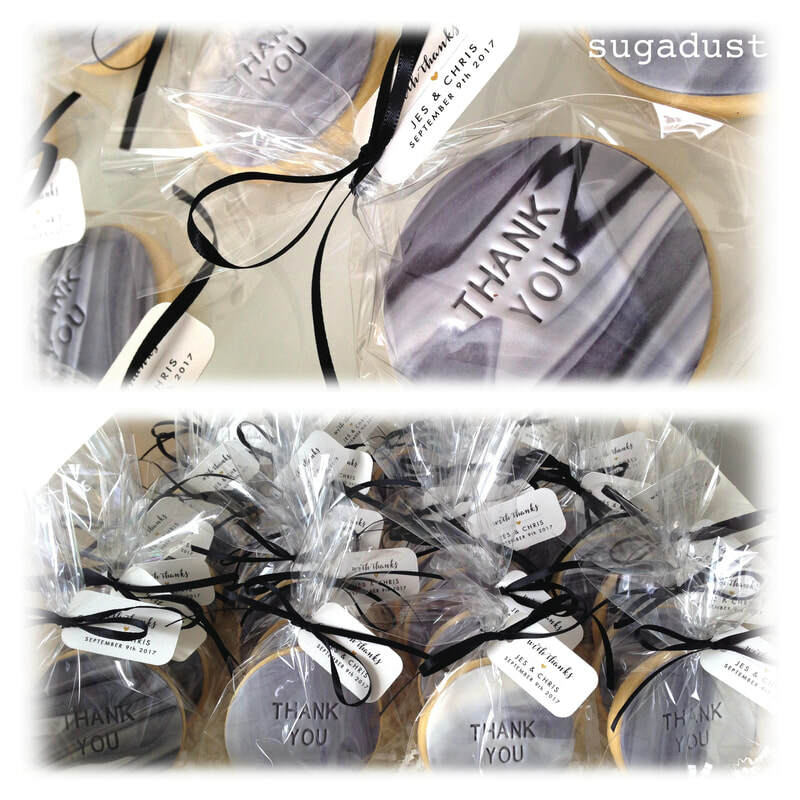 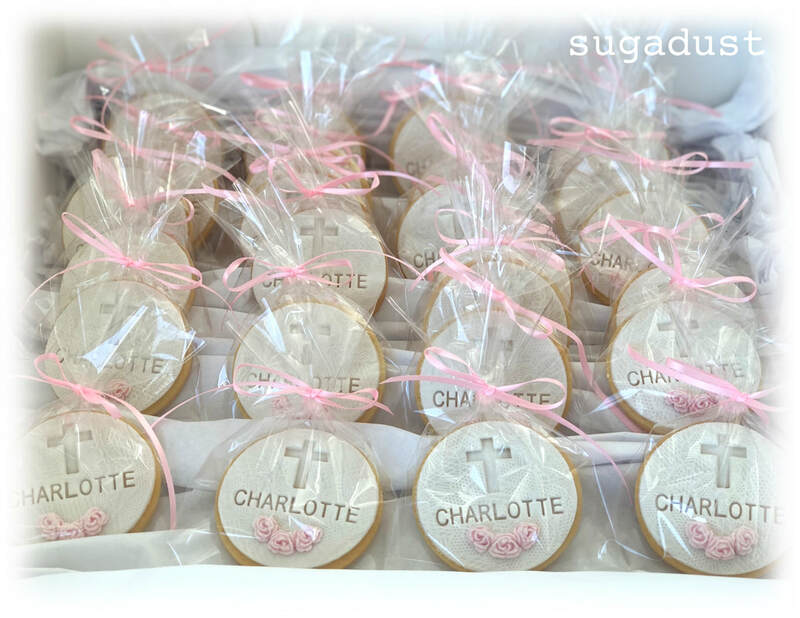 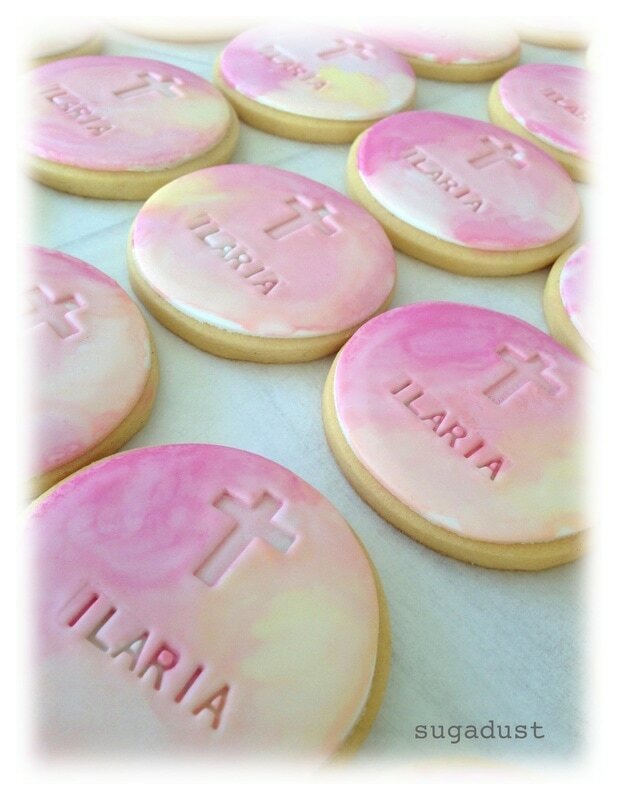 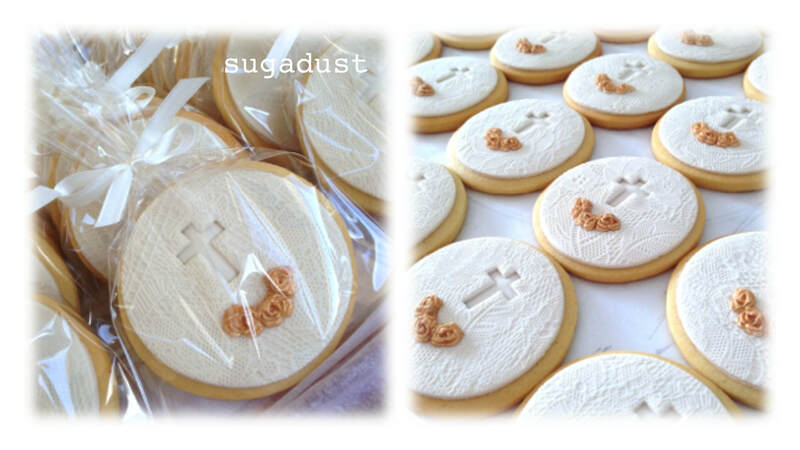 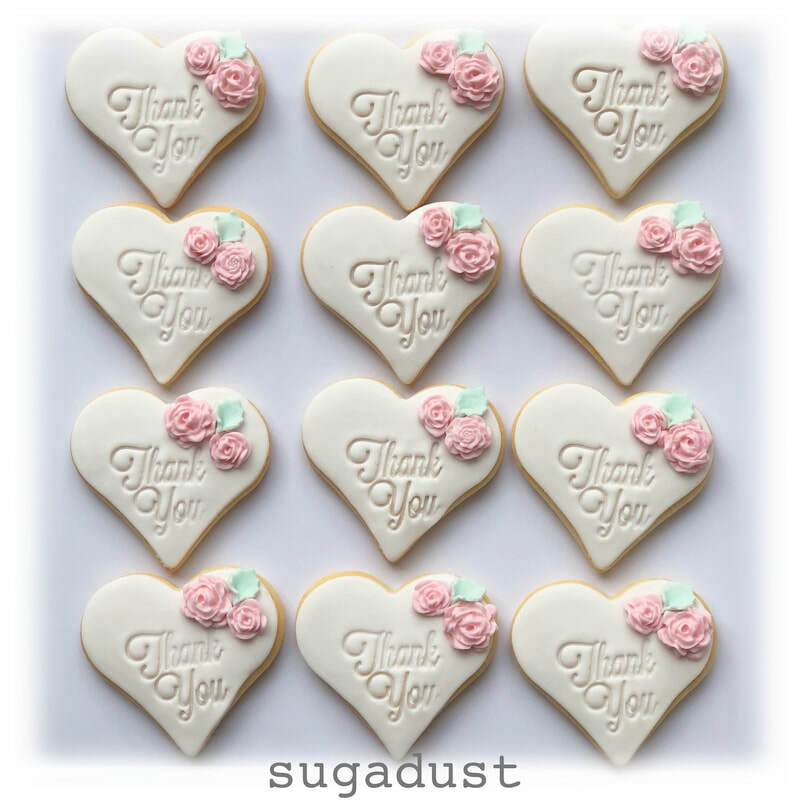 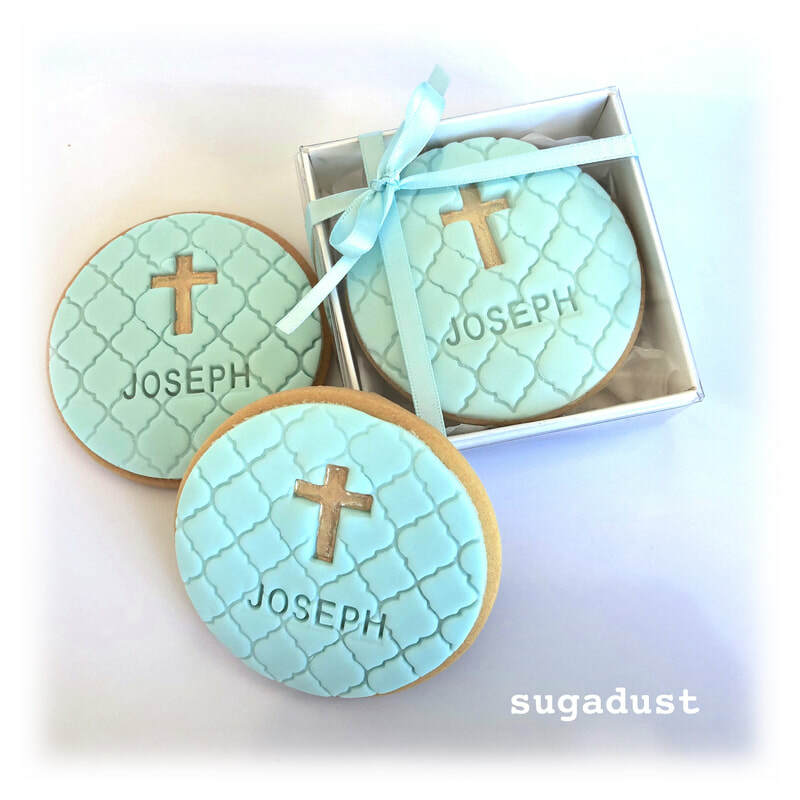 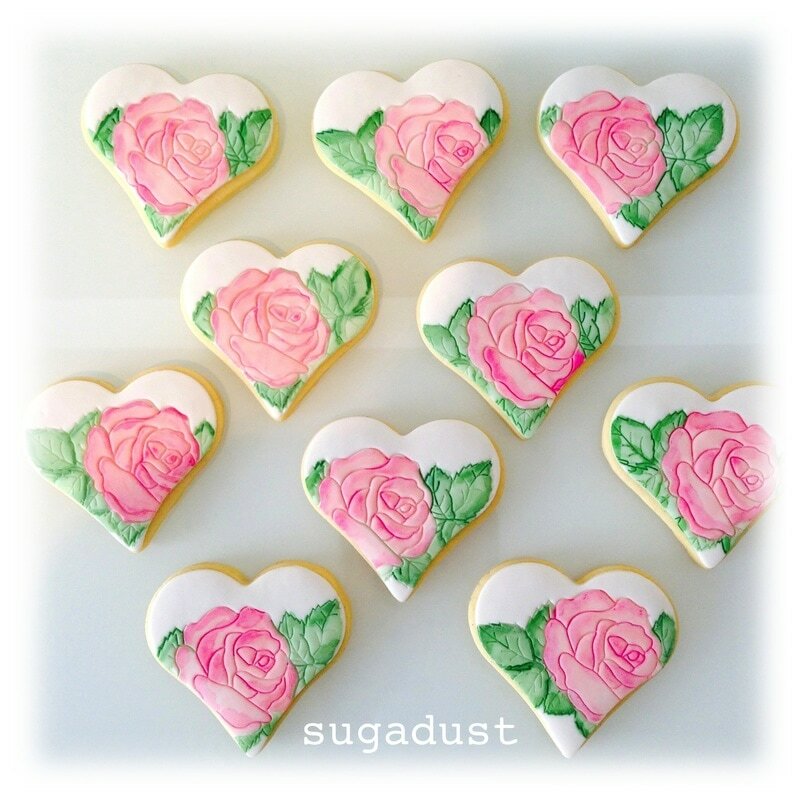 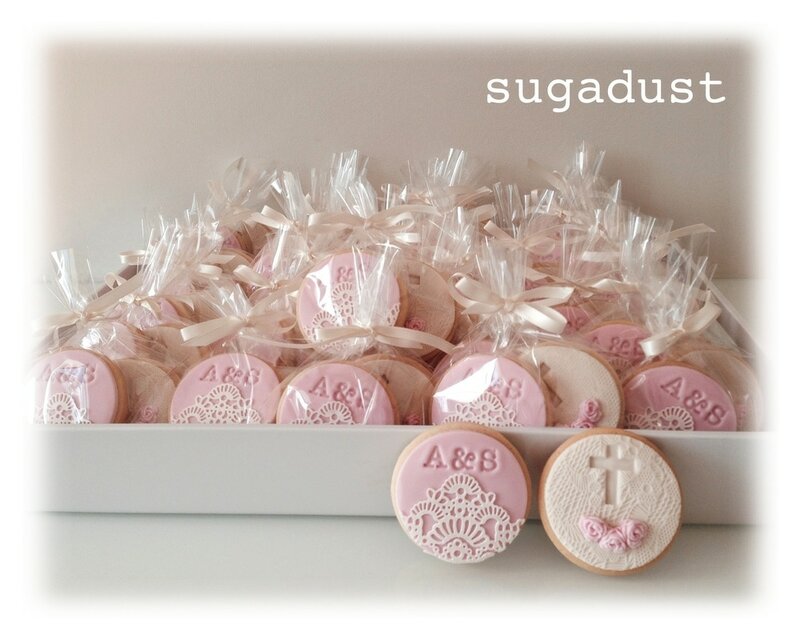 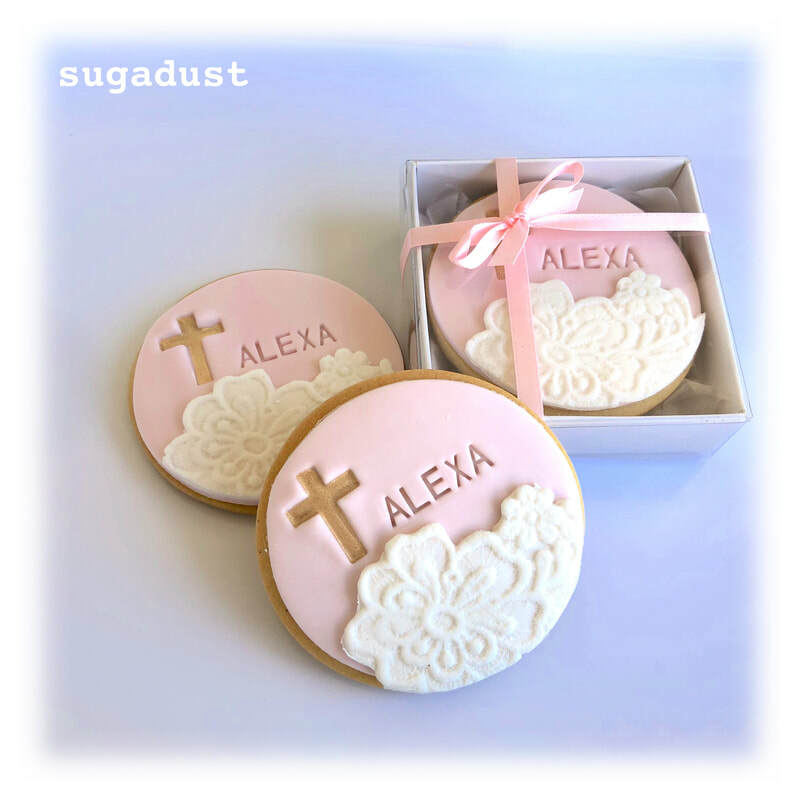 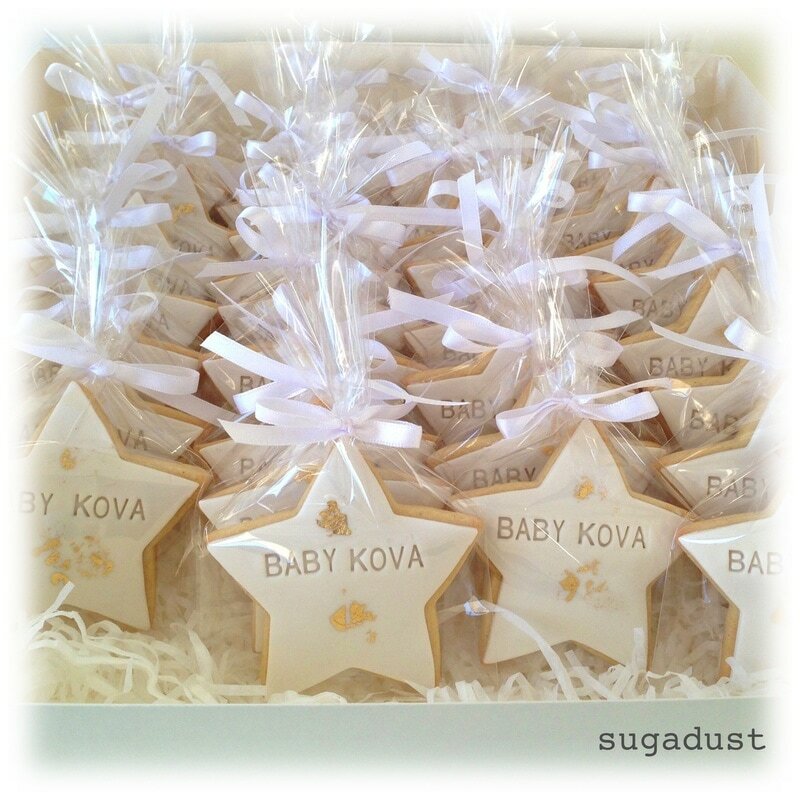 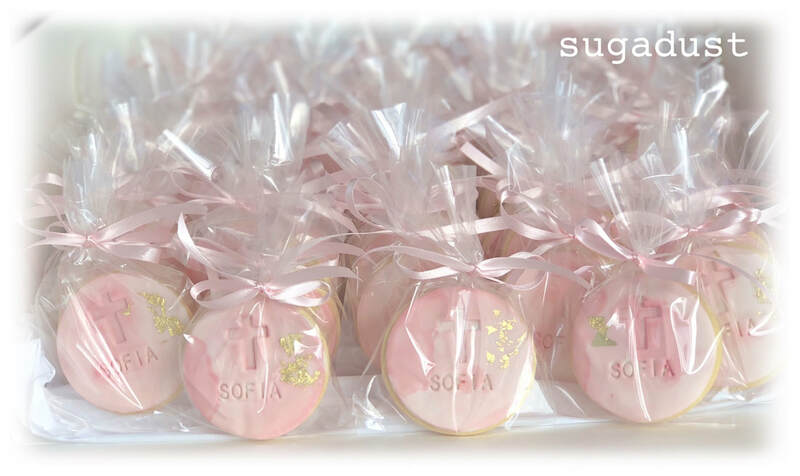 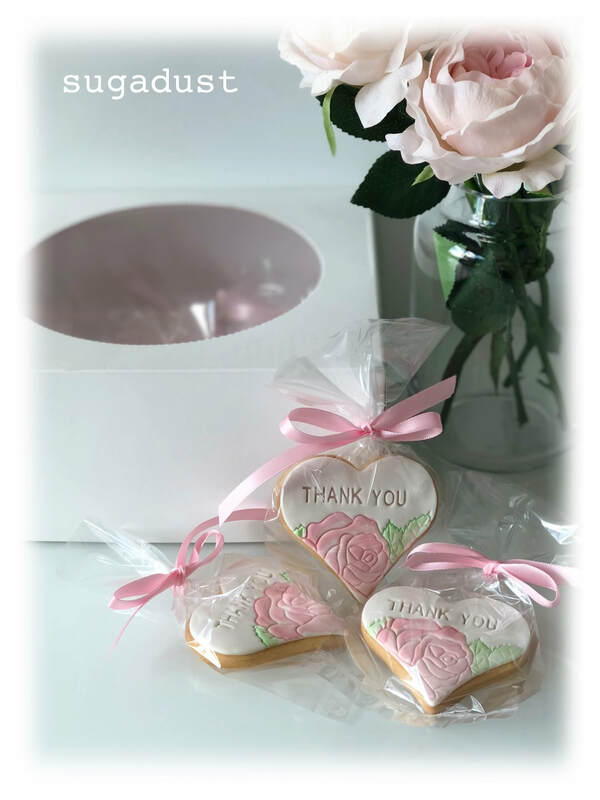 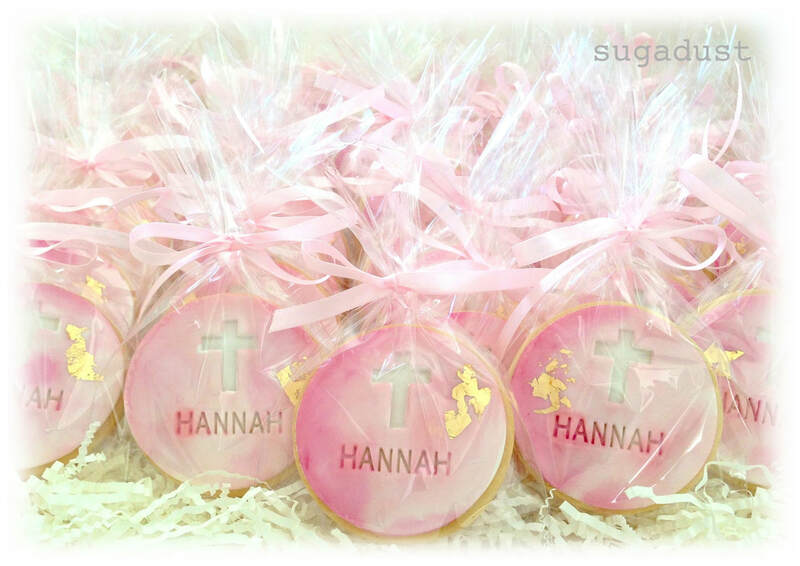 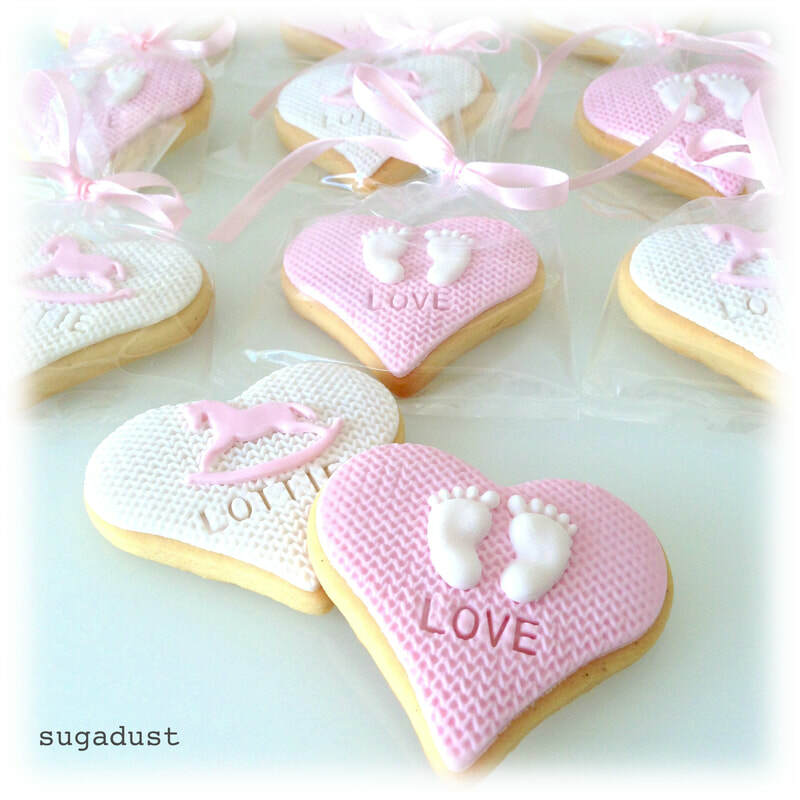 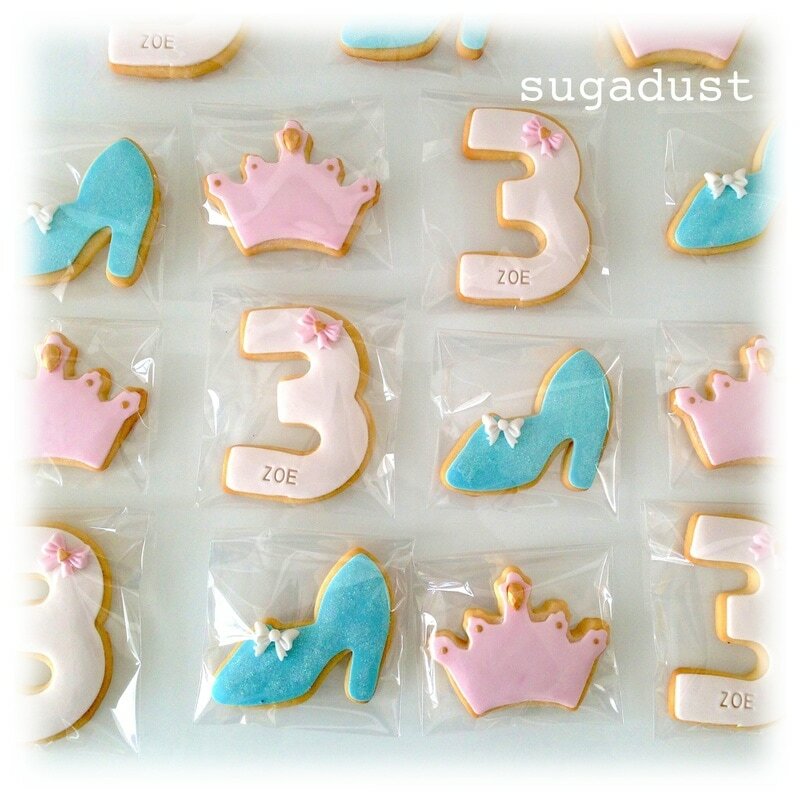 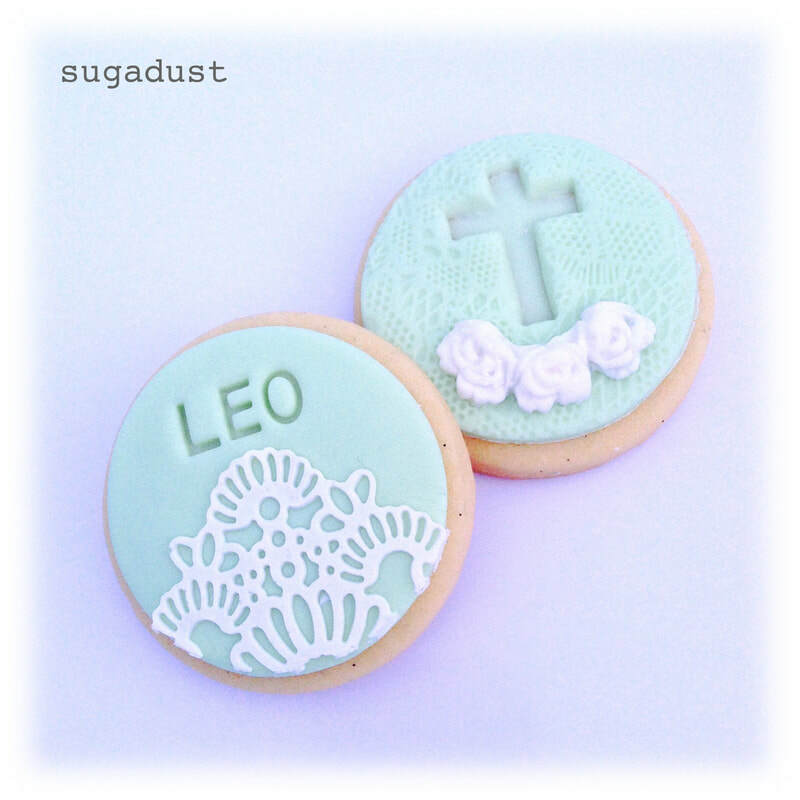 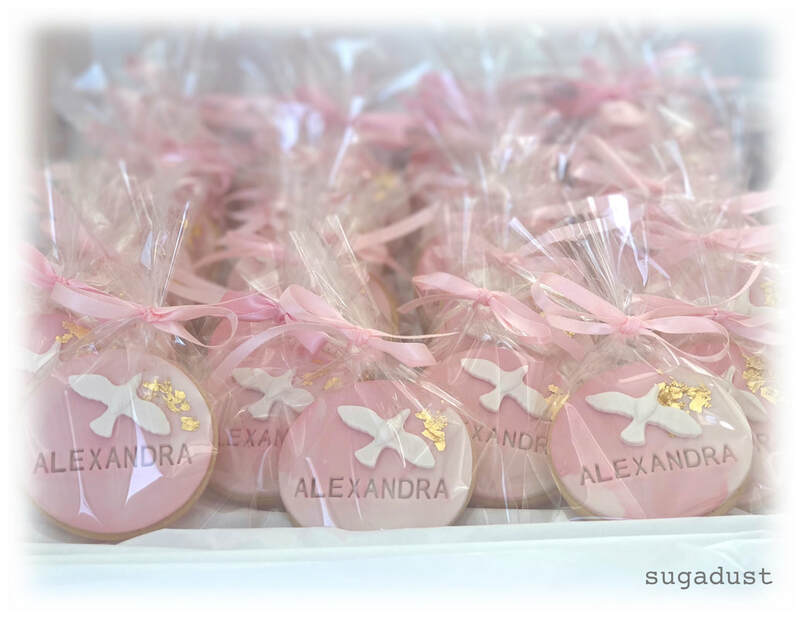 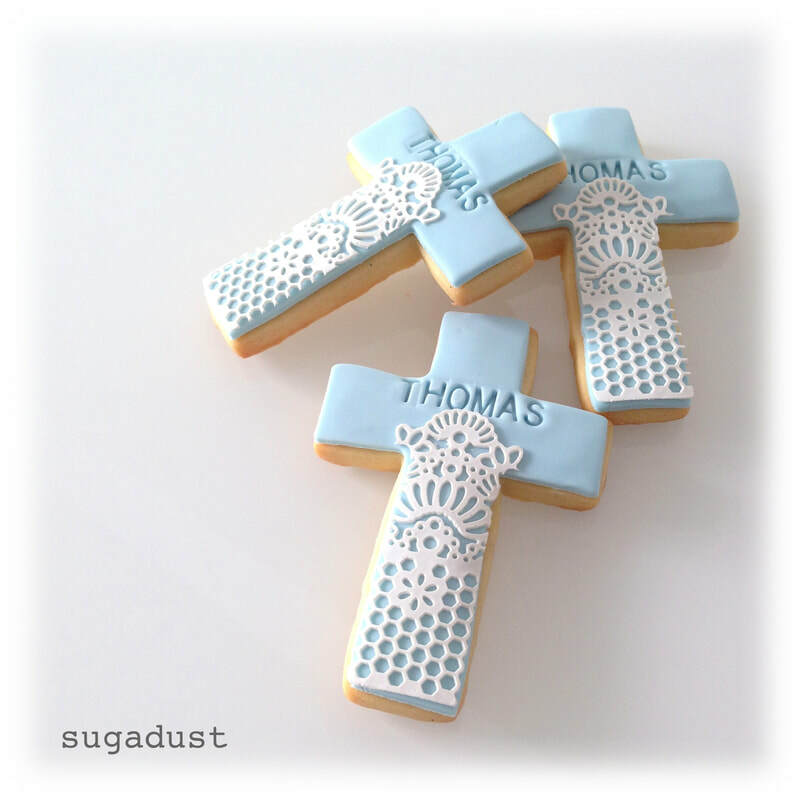 These beautifully presented cookies can be used as Bonboniere for weddings and Christenings. 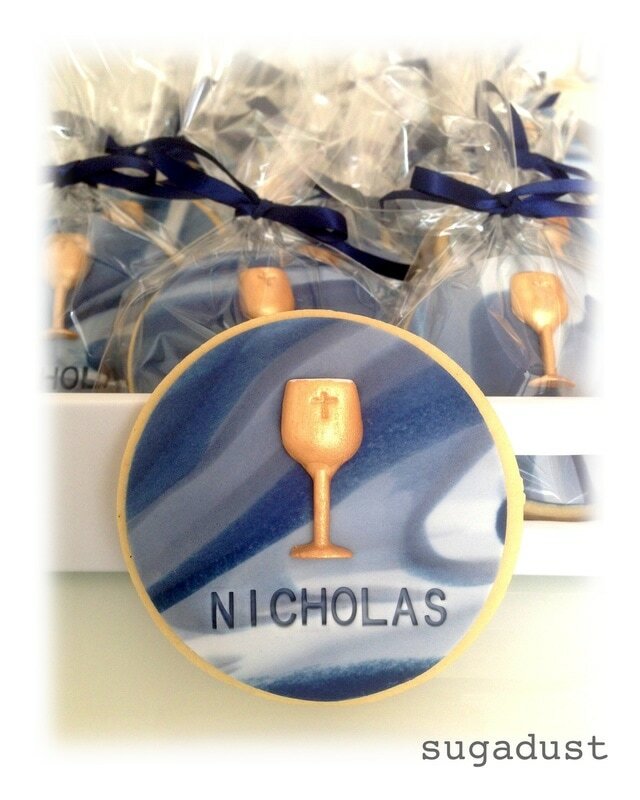 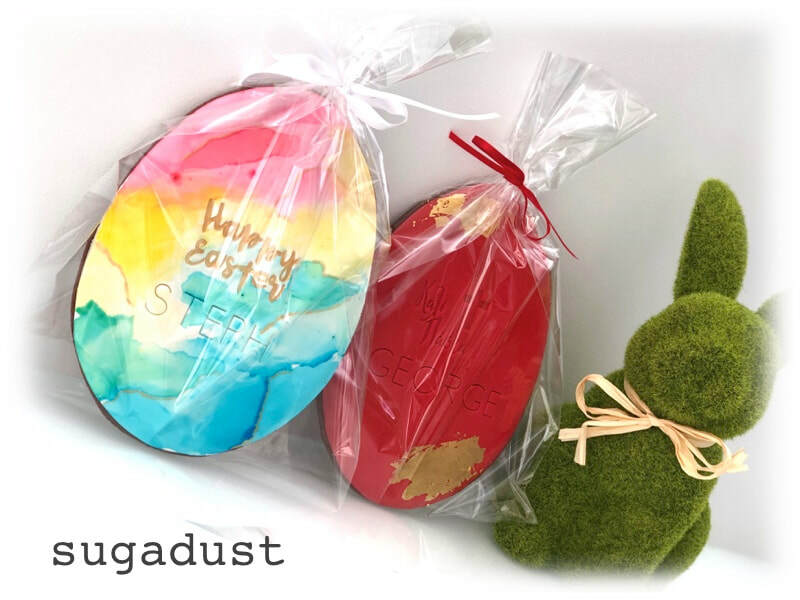 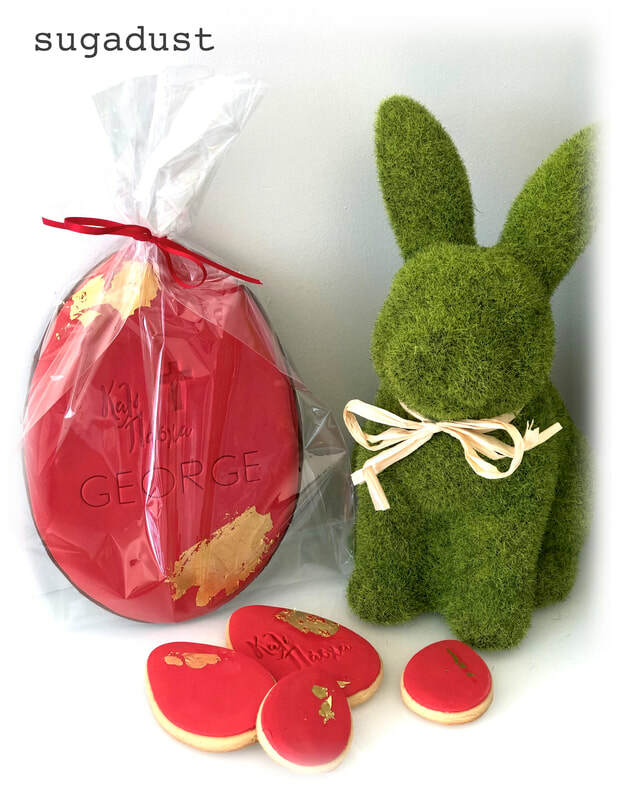 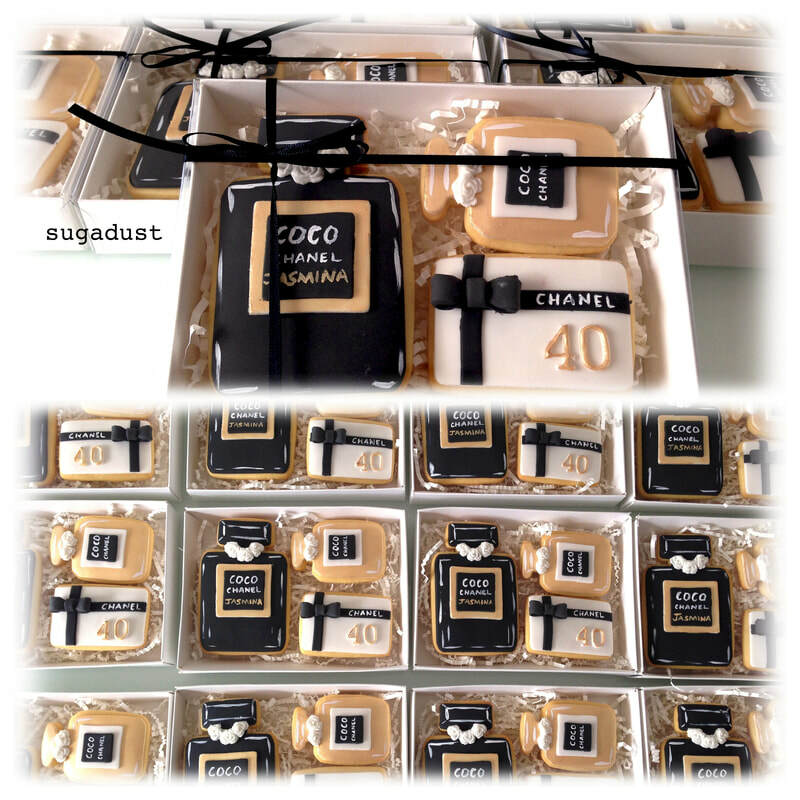 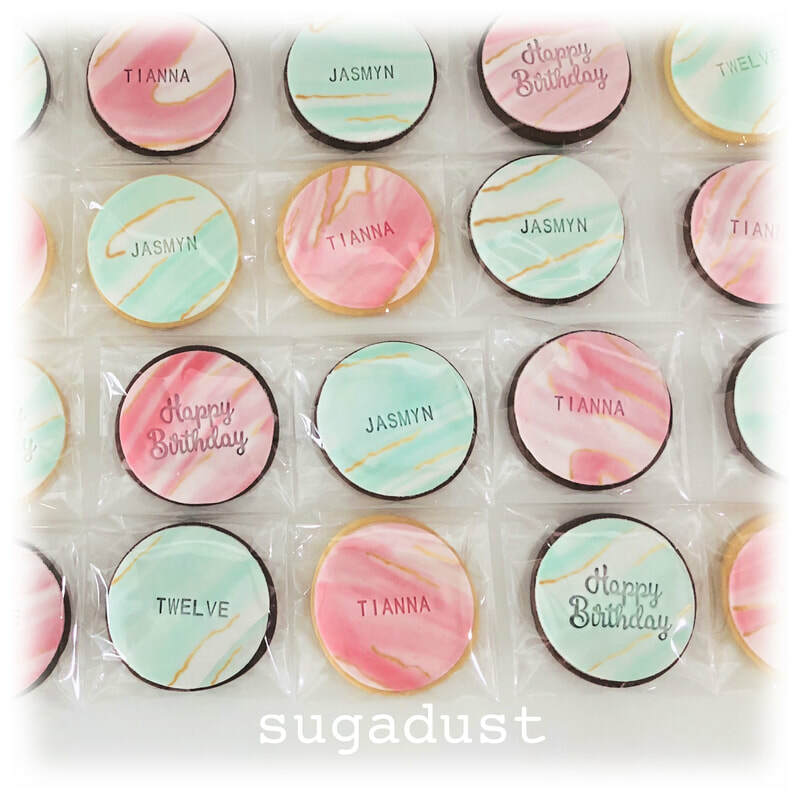 They are the perfect party favour whether your celebrating a birthday or a special occasion. 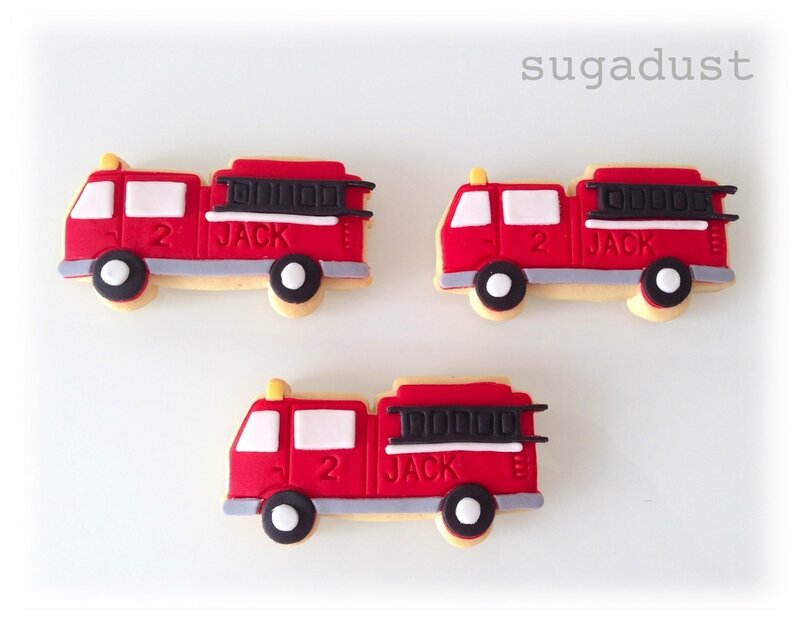 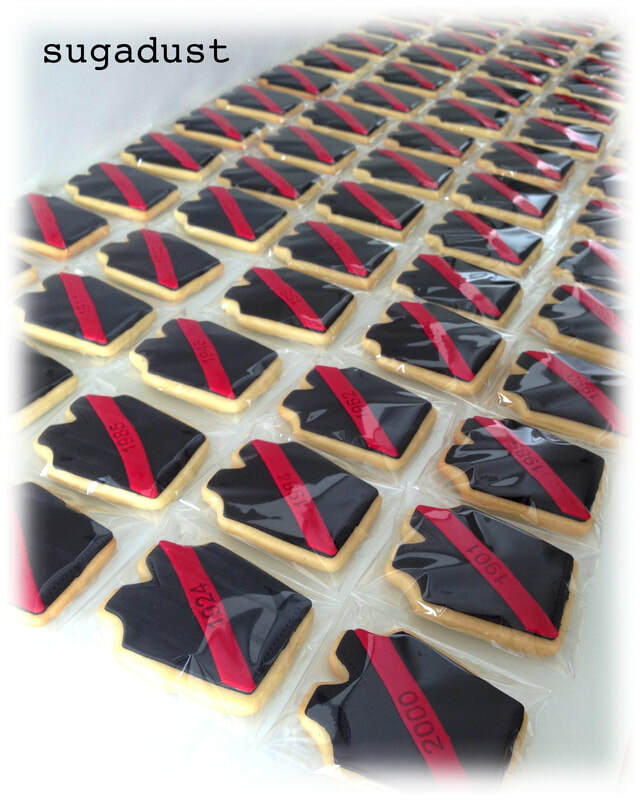 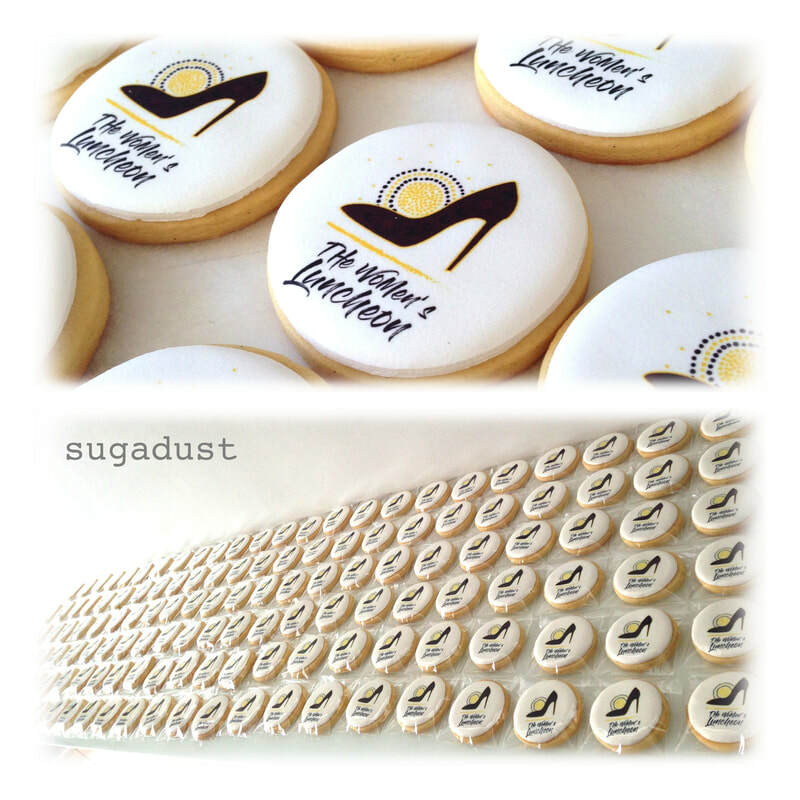 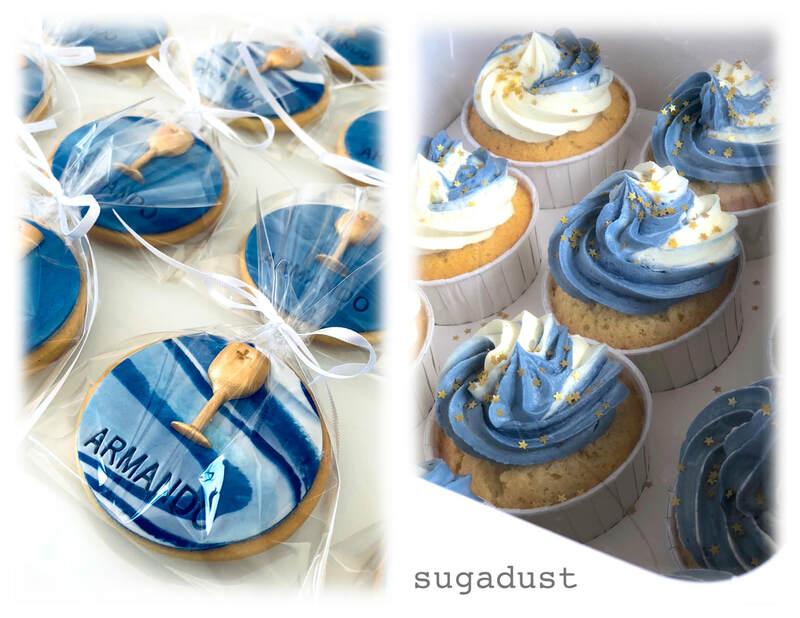 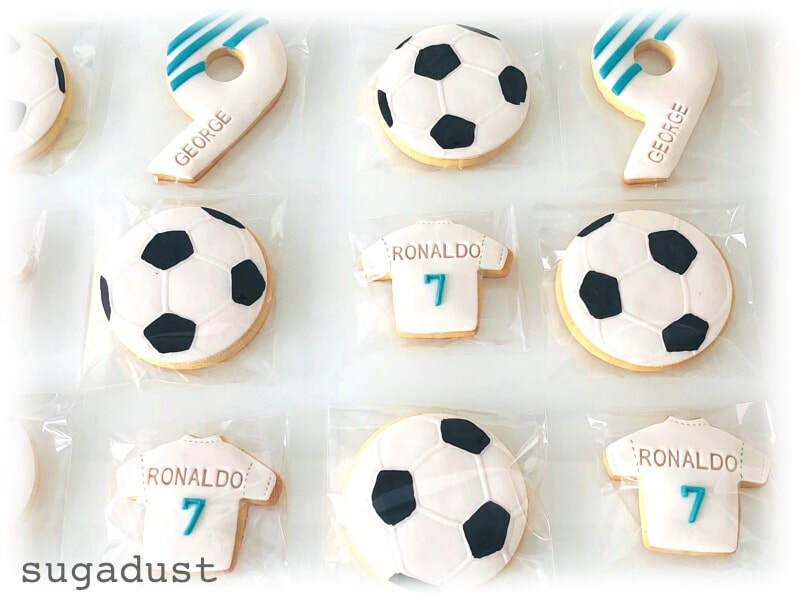 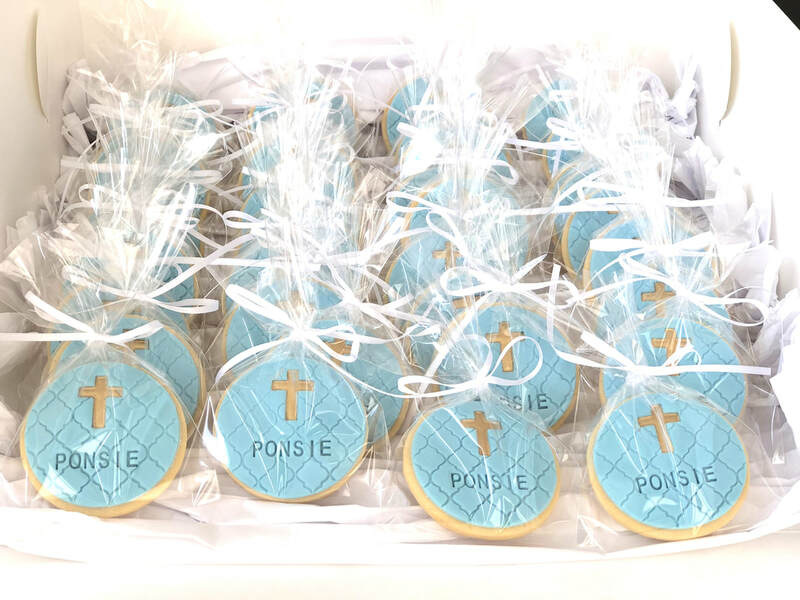 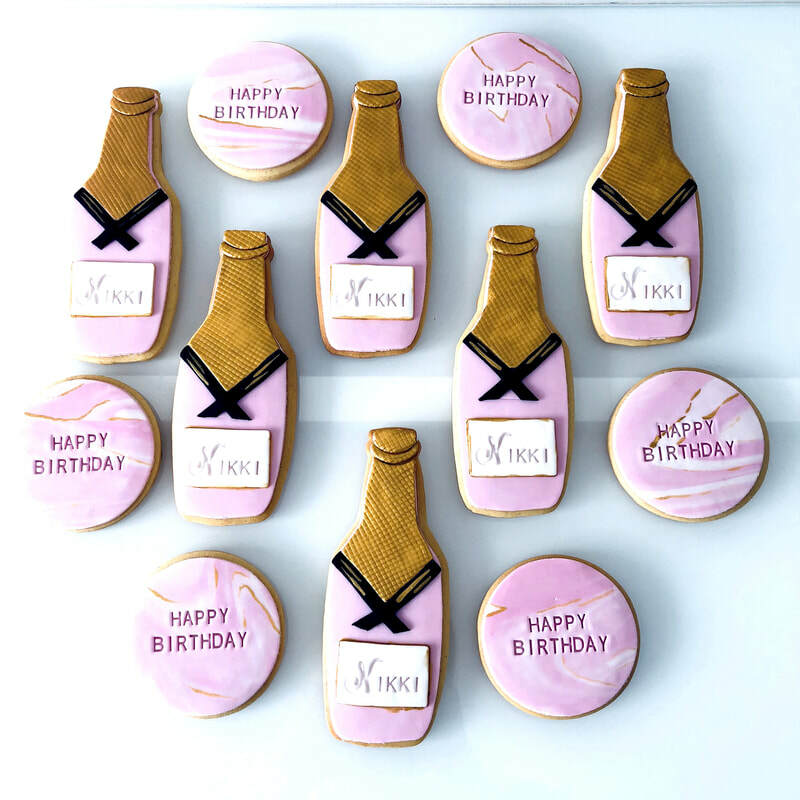 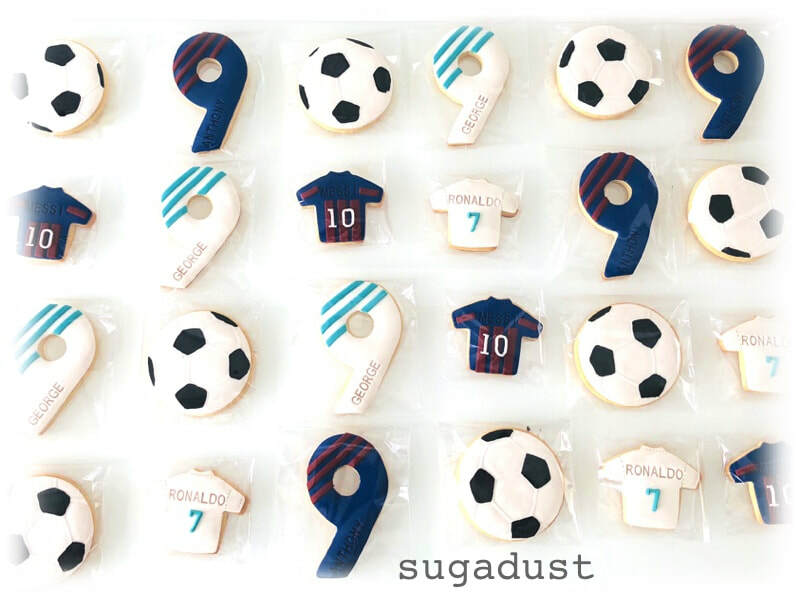 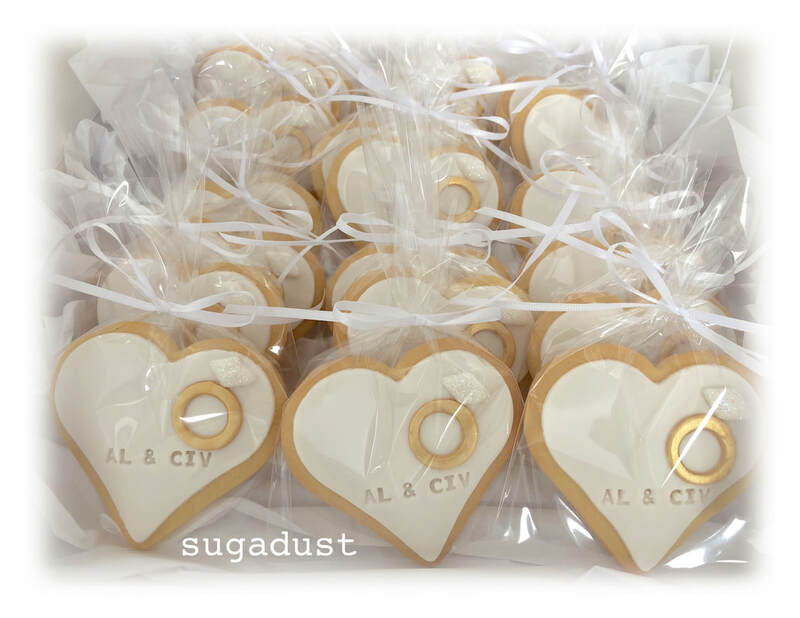 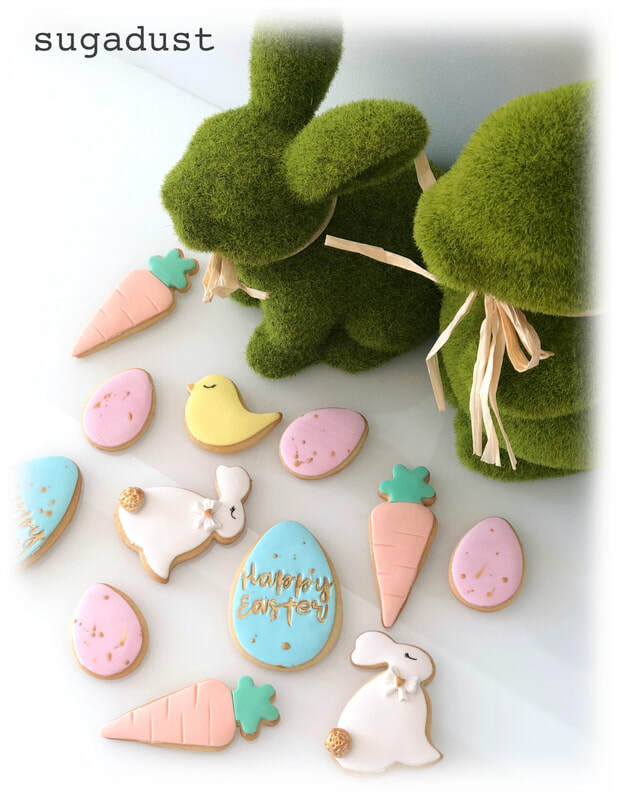 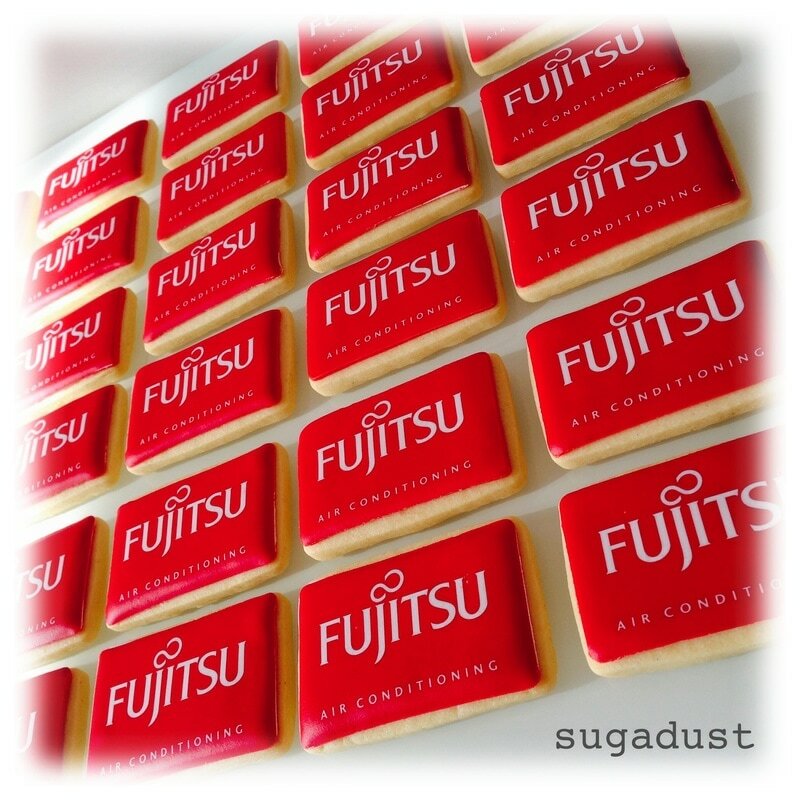 We cater for corporate events ranging from VIP functions, logo cookies for clients, product launches and promotions or custom specific events requiring edible custom designs. 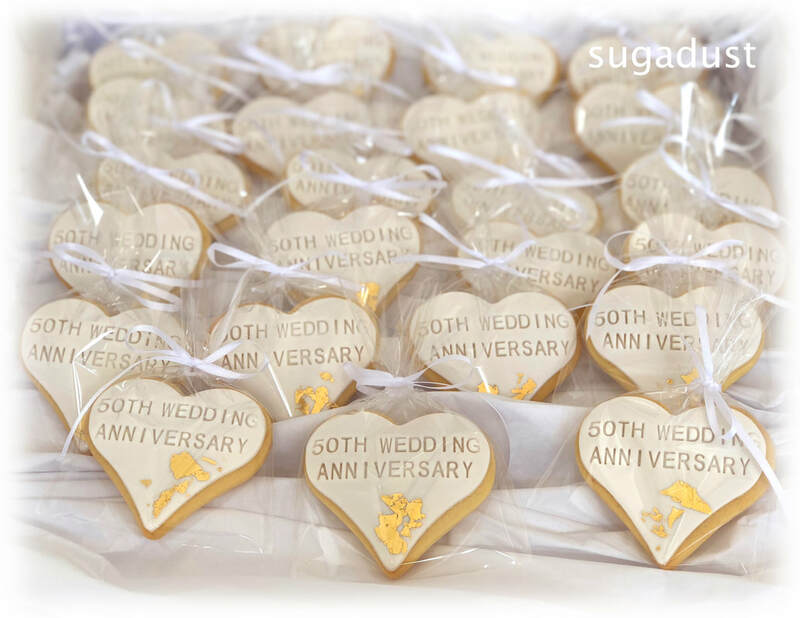 Our cookies are wrapped in a clear cello bag, and matching ribbon if required. 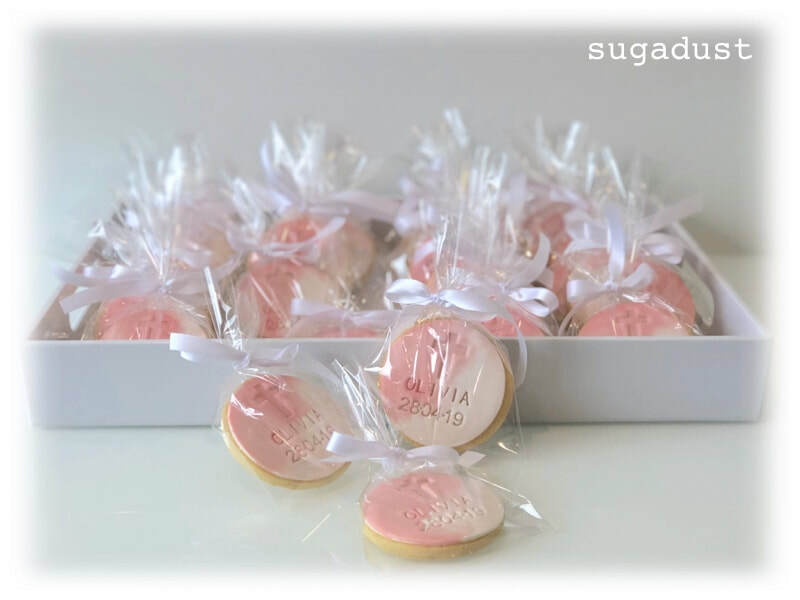 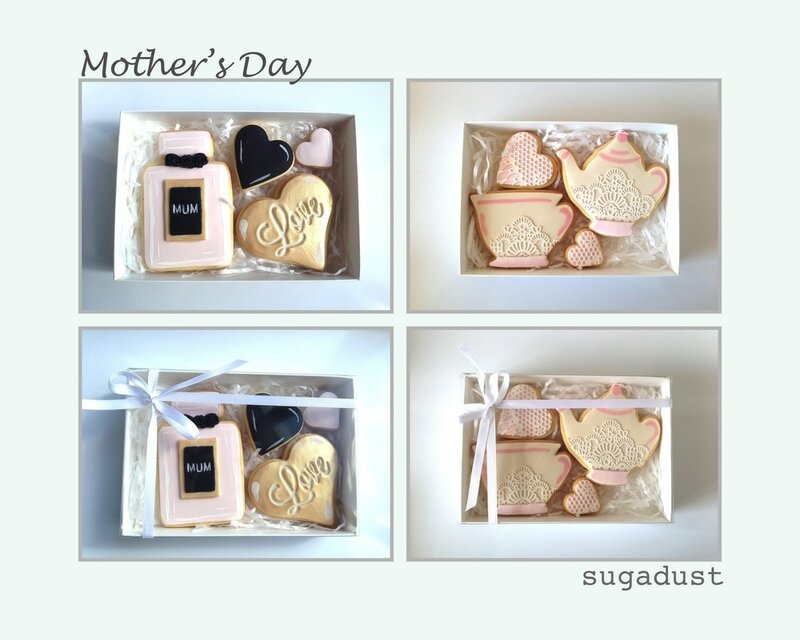 Our tiered wedding cookies are presented in clear boxes with ribbon colour of your choice. 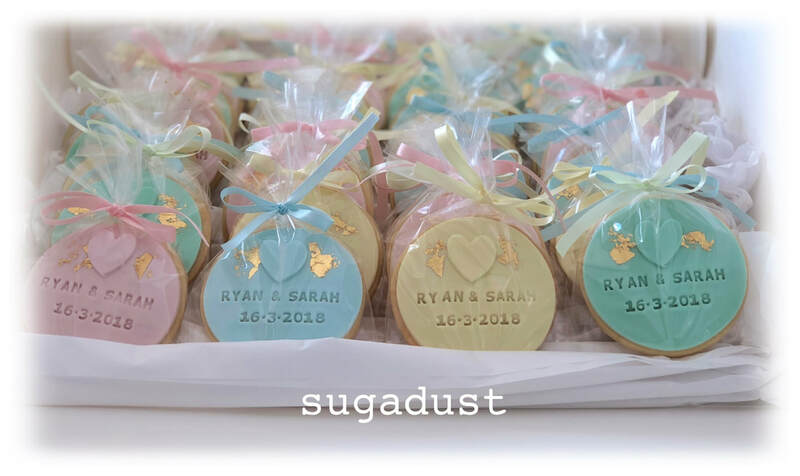 View our gallery below then use the contact form located on this website to contact us to discuss your requirements. 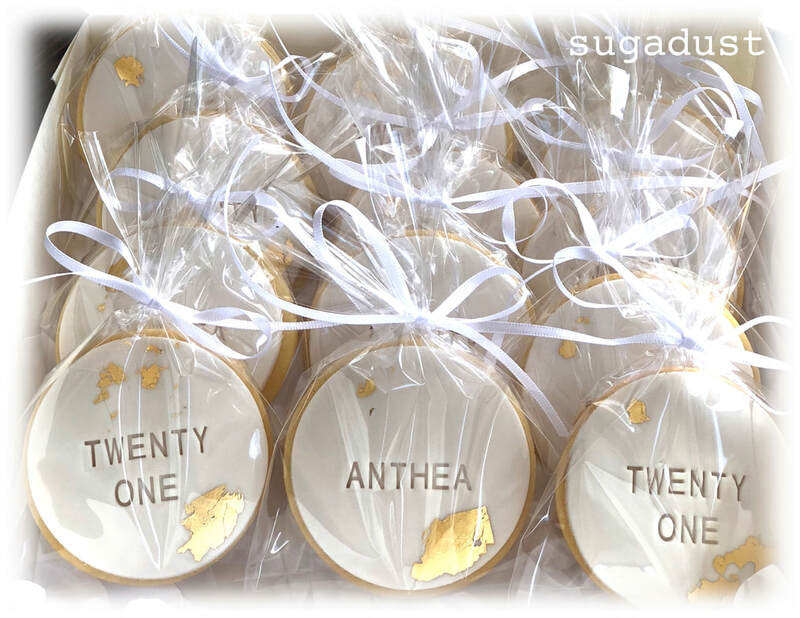 A minimum order of 12 cookies is required. 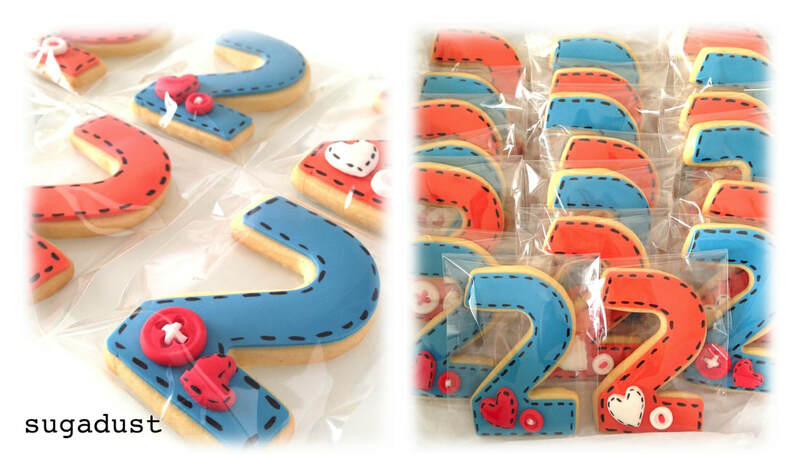 ​For large orders, we require at least 1-2 weeks notice. 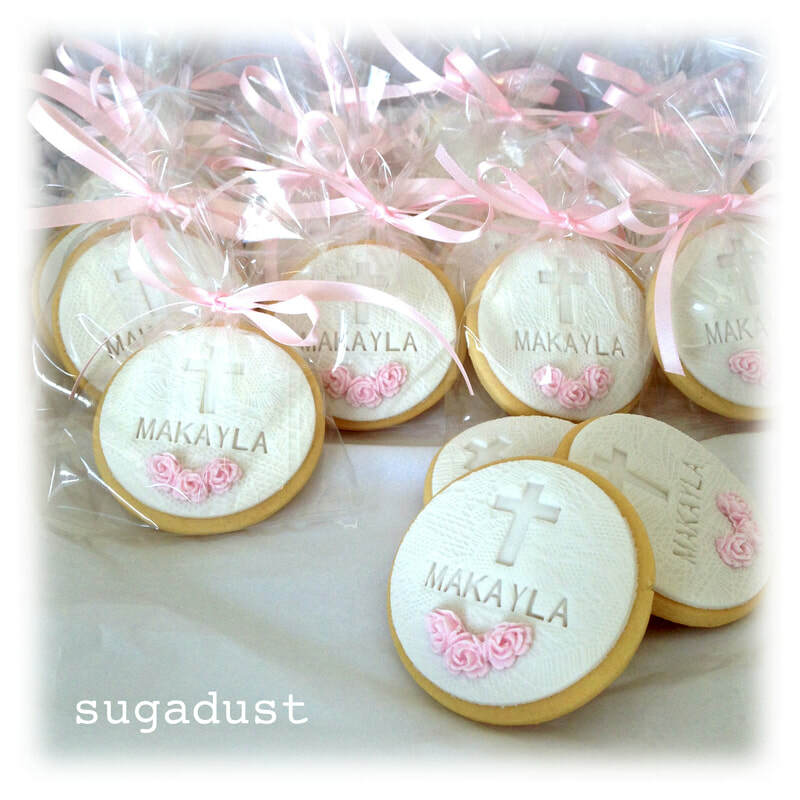 For Interstate orders, 2 weeks notice is required. 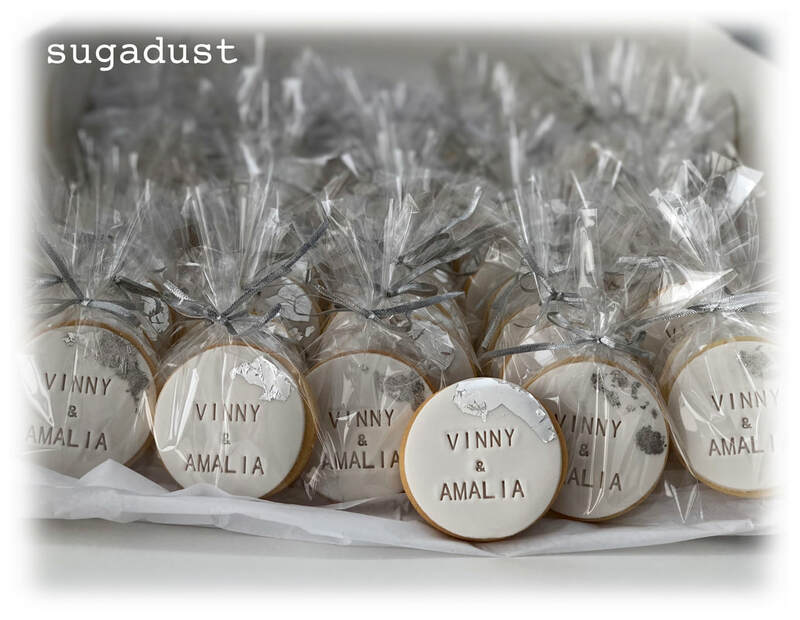 A flat postage fee of $35 is applied. 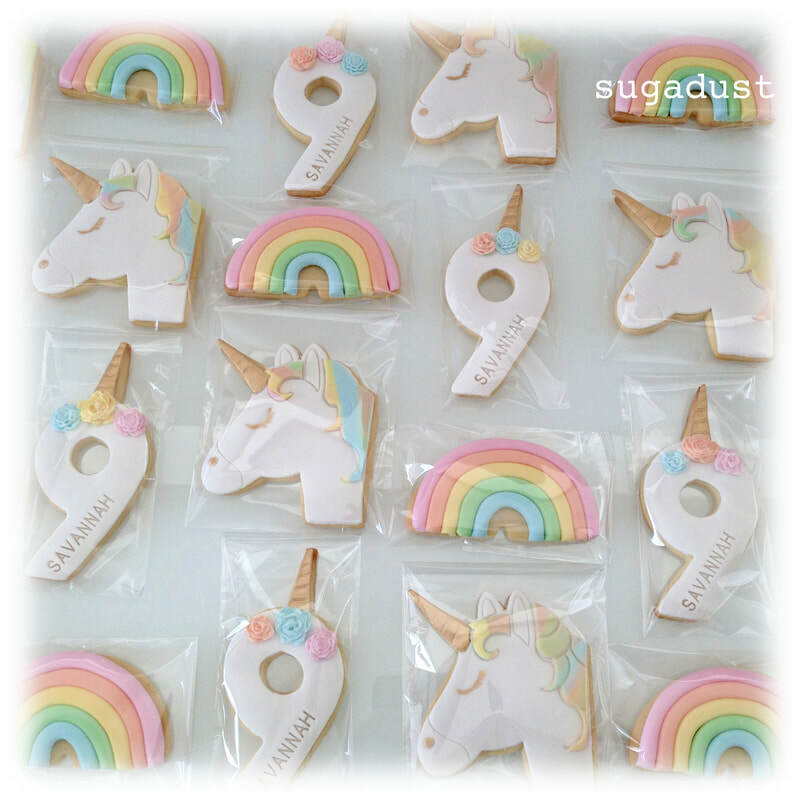 Cookie Flavours are Vanilla Bean, Lemonicious, Chocolate & Spiced Vanilla .